More than 100 veterans gathered where the German Enigma cipher was broken during the Second World War. Staff who helped uncover secret Nazi communications were reunited at Britain’s former code-breaking headquarters on Sunday – the 78th anniversary of Britain declaring war on Germany. 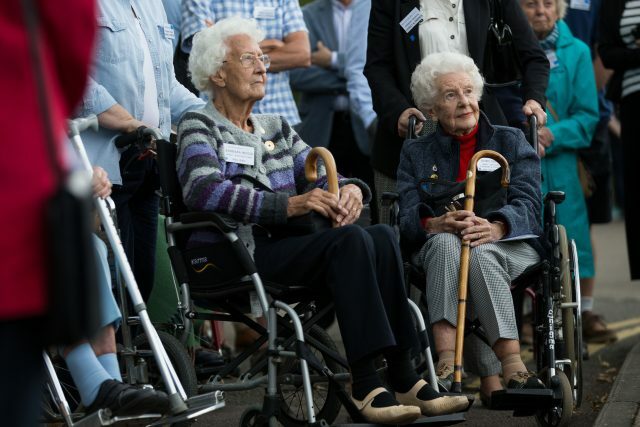 More than 100 veterans gathered at Bletchley Park, Buckinghamshire, where the German Enigma cipher was broken during the Second World War. Military historians believe this was one of the conflict’s major turning points – enabling the British to unlock German navy messages and save Allied convoys. 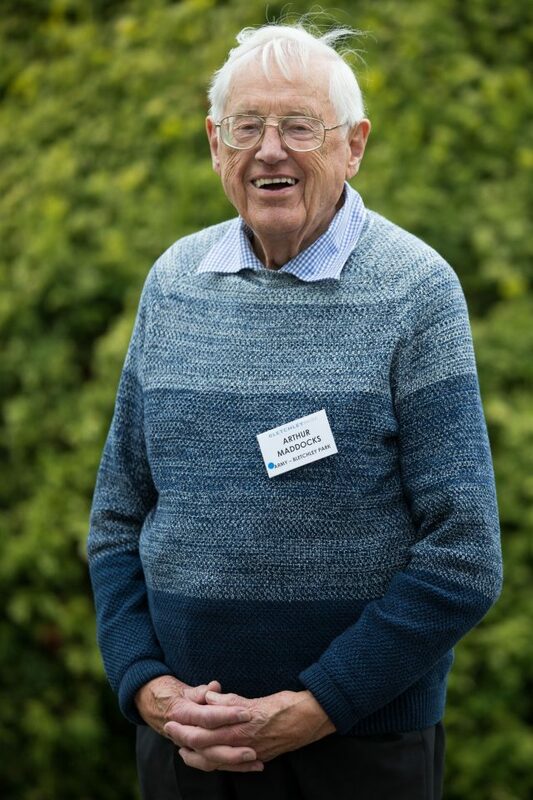 Arthur Maddocks, 95, remembered being given lines of code by “clever boys next door” when he would look for patterns and feed it through a machine. The Oxford-educated economist told the Press Association: “The work was repetitive, like solving a puzzle over and over again, but you were sustained by remembering its vast importance. Some 10,000 staff – three-quarters of them women – from aristocrats to secretaries worked at the stately mansion at the height of the war, while thousands more were posted overseas. Scores of former workers – most well into their 90s – gathered in the sprawling grounds to remember their efforts. 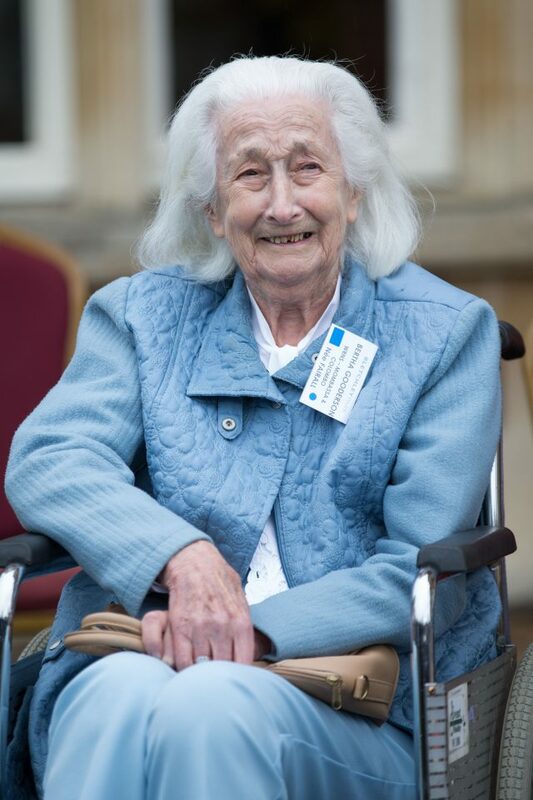 Betty Webb MBE, 94, had been handling top-tier Nazi communications about the Holocaust as an 18-year-old typist – but only found out decades later. She said: “Outside your own office, nobody talked about what they did. You had to be very strict with yourself. Bletchley was chosen as the main intelligence site as cities were more likely to be bombed, and housed some of the world’s most gifted minds such as computer scientist Alan Turing. Staff who worked in intelligence had to sign the Official Secrets Act and could not talk about their work for decades. But the code-breaking push was not all completed from inside the gates of Bletchley. Doris Tuffin, 94, talked of the “relief” of being able to discuss her wartime work, having been a transmitter in Colombo, Sri Lanka. She said: “We were all proud Brits and that’s why we signed up. Hitler was taking other countries but he jolly well wasn’t having ours. Meanwhile Bertha Gooderson, 94, described transmitting intercepted Japanese messages while posted in Kenya. The former member of the Women’s Royal Navy Service (WRNS) said she joined up because she “loved the sea”. 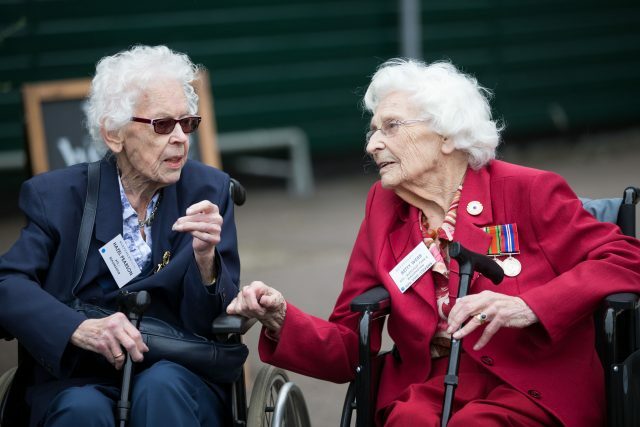 November marks the centenary of the WRNS being established – and scores of its first generation were in attendance. Sunday marked 78 years since Britain, whose prime minister was then Neville Chamberlain, declared war on Germany on September 3 1939, following Hitler’s invasion of Poland.